Draper doesn’t see much change while Taylorsville and Murray say police calls are up. Data gathering underway could provide better answers whether it’s tied to Operation Rio Grande. (Al Hartmann | Tribune file photo) After Operation Rio Grande, homeless camps have popped up everywhere. 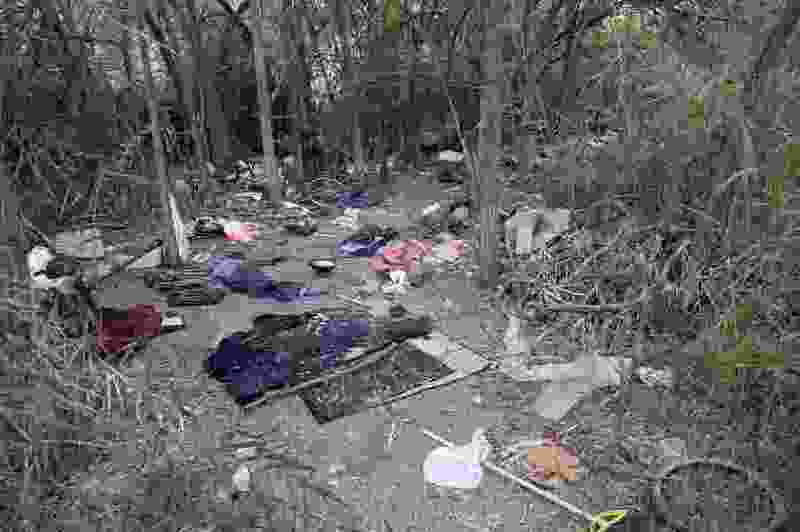 Some of the homeless have set up camps in the thick vegetation near the Jordan River south of 3900 S. and 900 W. just 50 yards off the Jordan River Parkway Trail. Camps are full of garbage, tarps, coolers and sleeping bags. Disposal of human waste at the camps is a health problem. A man who Draper police said was recently homeless survived a self-inflicted gunshot wound to the head this week, an incident that rattled nerves after cities throughout the county were concerned that efforts to disrupt crime in Salt Lake City’s Rio Grande neighborhood would lead homeless residents to spread across the valley. Draper police say the shooting, by a man who authorities say had been on the streets for one day when officers approached him and he fled, was unique in that they haven’t seen a “significant” rise in arrests or calls related to homeless residents. Five months into the ongoing work, dubbed Operation Rio Grande, it’s hard to say whether fears of crime and problems pushed into other communities have come to pass. Some cities say they’ve tracked a rise in police calls that involved homeless individuals, while others have said they’ve had no significant increase. Eining said incidents are rare in Draper. An agency spokesman declined to provide data about what he and Eining said were insignificant changes after the operation’s launch. State and local officials formed Operation Rio Grande in August as part of what they said was a statewide effort to improve services for the homeless in the coming two years, starting by curbing brazen criminal activity in the area that’s home to Salt Lake City’s 1,100-bed shelter. City council members and police departments braced for the potential impact the onslaught of a two-year effort to disrupt open drug use and other crime downtown would have in their backyards. Some police agencies — several citing a lack of data to confirm any possible trends — say they’re not seeing the wave that others had anticipated. Several agencies didn’t track such calls until after the operation started, when police from state and local agencies led an assault on crime downtown that has resulted in over 2,700 arrests. Cities are intent on getting a better handle on whether the issues they’re facing related to homelessness can be traced to a reaction to the state-led operation. They say having that data will help as Utah officials continue work on homelessness. Several cities are putting in place data-tracking systems so they can know whether someone who’s arrested is homeless and came from Rio Grande. State officials said they expected their efforts to lead criminals to spread out, but they insisted the numerous law-enforcement agencies involved would follow and find them wherever they went. The month after the operation started, lower-level crimes dropped in Rio Grande, which is also referred to as the Pioneer Park neighborhood, and rose in the neighborhoods surrounding it, according to data analyzed by The Salt Lake Tribune. There are perceived problems in places like Taylorsville, where City Councilman Brad Christopherson says there’s been a rise in crime in recent months. Unified Police Taylorsville Precinct Chief Tracy Wyant told City Council members calls related to transient residents, such as public intoxication and suspicious activity, climbed after Operation Rio Grande began, according to the Taylorsville City Journal. “I don’t think there’s any doubt this problem will get worse before it gets better,” Wyant said, according to the paper. A Unified Police spokesman said Wyant wasn’t available to comment Wednesday. In Murray, police officials say they have no way to tell whether crime related to homeless residents has climbed as a result of the operation. But they have noticed an increase. It’s unclear whether that jump happened because more people called about issues that had already existed before Operation Rio Grande or if people left Salt Lake City for other towns, Roberts said, though the city is working on a way to collect more refined data. South Salt Lake, which will host one of three new homeless shelters scheduled to open in July 2019, also has recently begun collecting refined data to get a handle on any homeless-related issues before the men’s shelter opens.